in Whitby, Durham Region, and Greater Toronto. Building excellent relationships with our customers is important to us, and we strive to exceed all of your needs and expectations you have for a Whitby landscaping contractor. As a customer, we know you need to feel valued and this is why we always take that extra step to keep you happy and satisfied. We provide reliable, high-quality trimming and cutting services at affordable rates – contact us, you will not regret it. ★★★★★ Great price, excellent work! 10/10 Chris and crew are terrific! I highly recommend them. 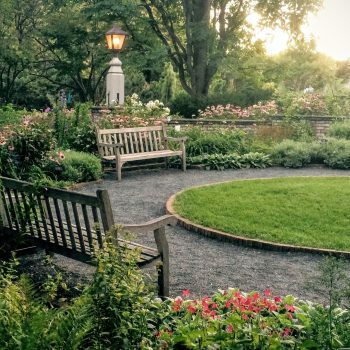 iTrim4U provides full landscaping services throughout Whitby, Durham Region, and the Greater Toronto Area: gardening, landscape design, trimming, pruning, mulching, planting, yard clean-up and more. Our professional Whitby landscaping service team has years of experience. Having performed over 1000 jobs, we are more than equipped to handle your needs. 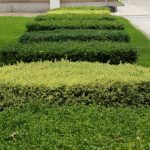 Hedge trimming is what we specialize in and is our core business for residential and commercial properties. Serving Whitby, Durham Region, and Greater Toronto Area our hedge trimming services are available for all commercial and residential customers. 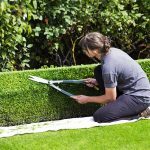 We provide one-off trimming or regularly scheduled service to keep your hedges always looking great. There are a wide range of properties in Whitby and Durham. Regardless of the size of your trees, shrubs, hedges, garden, or landscape we have a solution that will match your needs. 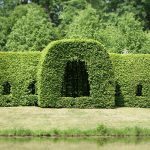 Even if you have towering ceder hedges, we are highly experienced in a wide range of situations. Have a question? Just give us a call for a free no-obligation consultation. Have a question? Contact us today, we’re here to help! As the largest hedge & shrub trimming landscaper in Whitby, Oshawa, & the Toronto area, we serve hundreds of happy customers each year. 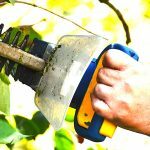 Our team has the knowledge and experience to provide you with high-quality services, whether it’s hedge trimming, tree services, gardening, or landscape design done the right the first time. We are here to help you achieve a beautiful home. It is not uncommon for homeowners to consider the DIY landscape option. Big box retailers these days are making it easier than ever to pickup your own supplies and get to work. The real advantage of hiring a professional Whitby landscaper is that we have the experience and knowledge to not only get your job done right, but get it done in a cost-effective and timely manner. There is no shortage of half-completed DIY projects throughout the Whitby area, we make sure that your landscape needs are handled professionally. From the knowledge and skill required to estimate the needs of your project, to the physical labour required to execute the work, and the professionalism required to carry out a landscape design to exacting specifications – iTrim4U is here to help make your landscaping and home look it’s absolute best. Want to learn more about iTrim4U? You can learn more about us, contact us, read our reviews, or check out out blog to find out why more people are trusting Whitby’s iTrim4U for their hedge and tree service.